​It was first performed at Edinburgh Fringe 2016 as part of the Gilded Balloon's inaugural season at The Counting House. 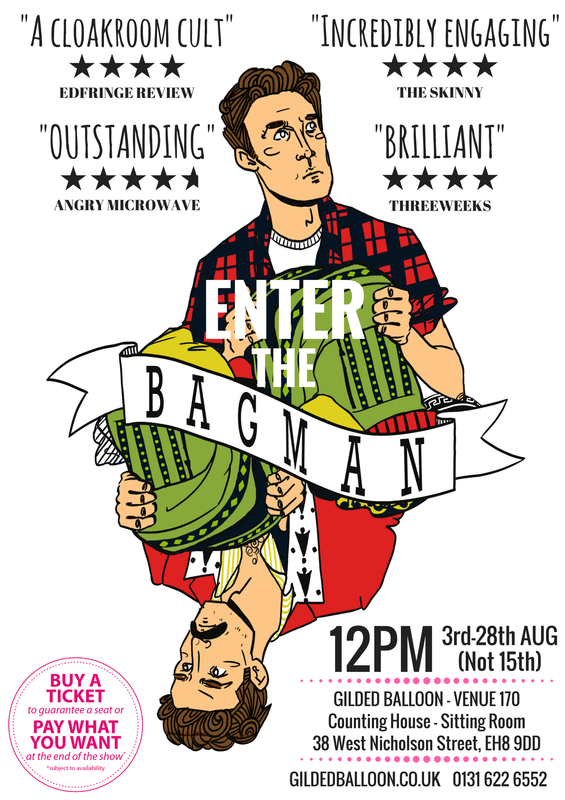 ​"Unlike anything I've seen this year, and very, very funny"
BAGMAN is a deadbeat character comedy taking you on a journey through the stories contained within the contents of a forgotten cloakroom. ​BAGMAN is the debut solo character comedy show by Brendan Murphy and directed by Hamish MacDougall. ​It was first performed at Edinburgh Fringe 2015 as part of the Pleasance Courtyard's Free From Midnight festival. ​Murphy is a natural performer"